Taking a break from your HIV treatment is not recommended. Studies have found that people taking treatment breaks are more likely to become ill. If you’re thinking of taking a break from treatment, talk to your doctor about your concerns and your options. Taking a planned break from your HIV treatment is sometimes called a ‘structured treatment interruption'. Sometimes it’s also referred to as a 'drug holiday'. Treatment breaks are not recommended in current HIV treatment guidelines. There has been a lot of research into treatment breaks, and this has shown that there tend to be more risks than benefits. In particular, a big study which was stopped in 2006 (the SMART study) found that people who took treatment breaks guided by their CD4 cell count risked becoming ill not only because of HIV-related illnesses, but also because of heart, kidney, and liver disease and some cancers. The SMART (Strategies for the Management of Antiretroviral Therapy) study recruited people taking HIV treatment with a CD4 cell count above 350. Participants were divided into two groups: the first group continued to take HIV treatment as normal, the other group stopped treatment, restarting when their CD4 cell count fell to around 250 (the point where people start to become more vulnerable to serious infections), and then stopping again when their CD4 cell count once again reached 350. Among other things, the researchers wanted to see if people taking treatment breaks remained well, and how many avoided the side-effects of anti-HIV drugs. "There has been a lot of research into treatment breaks, and this has shown that there tend to be more risks than benefits." However, in January 2006 the study was stopped early because 4% of people who interrupted their HIV treatment became ill compared to only 2% of people who took their HIV drugs all the time. The researchers found that people taking treatment breaks were more than twice as likely to become ill or die than people taking continuous HIV treatment. As well as an increased risk of HIV disease progression, people taking treatment breaks also had an increased risk of other illnesses such as cardiovascular disease, and kidney or liver disease. This was a surprise, as these conditions can be side-effects of HIV treatment and the study’s researchers had expected to see more of these illnesses in people taking HIV treatment all the time. The researchers also found that people who took treatment breaks had a lower quality of life. It is thought that a reason why people taking treatment breaks experienced more illness was because they spent more time with low CD4 cell counts and detectable viral loads, increasing the risk of HIV disease progression. Shortly after the SMART study was stopped, the treatment interruption arm of another study was also stopped. Researchers were looking at fixed cycles of HIV treatment in people who had a CD4 cell count of 300 or more. In the DART (Development of Anti-Retroviral Therapy in Africa) study, people with a CD4 cell count of over 300 were divided into two groups, to either receive continuous HIV treatment or to take twelve-week cycles of HIV treatment followed by twelve-week breaks. However, the treatment interruption arm of the study was stopped early and all participants were advised to switch to taking their treatment all the time when the researchers noticed that people who took treatment breaks were more likely to develop HIV-related illnesses. Treatment interruptions initially became a hot topic among HIV researchers after a handful of people who had previously taken HIV treatment maintained a very low viral load even when they stopped treatment. However, larger trials failed to find any benefit from stopping treatment. Attention then turned to the value of treatment breaks guided by CD4 cell count. The SMART study has shown that there are also concerns about the safety of this approach. The reasons why people may want to consider a treatment break also still remain: taking HIV treatment appears to need life-long commitment with the currently available drugs. What’s more, a very high level of adherence to treatment is required, ideally at least 95% of the doses of HIV treatment should be taken at the right time and in the right way for them to work effectively and to avoid HIV becoming resistant to them. Many people find this difficult. HIV treatment is becoming a lot more tolerable, but it can still cause side-effects, some of which are long-term and can cause health problems. Breaks may be considered in a few circumstances, including if you have liver damage (hepatotoxicity). Some research has looked at short treatment breaks, such as stopping treatment at weekends. Whether short treatment breaks are a safe option depends on various factors, including the drug combination and the individual’s CD4 count over time. Given the lack of conclusive evidence, current guidelines recommend against treatment interruption or intermittent treatment. If you are thinking of taking a break from your anti-HIV drugs speak to your doctor about how advisable and safe it is for you to do so. Carefully stopping treatment with your doctor’s assistance reduces the risk of drug resistance developing. If you are currently taking a break from treatment make sure that you go to your HIV clinic regularly to have your CD4 cell count, viral load and health closely monitored. Rising viral load and falling CD4 could mean a risk of opportunistic infections and illness. Possible increased risk of other serious illness such as heart, liver and kidney disease. Though many people regain lost CD4 cells and experience a fall in viral load when they restart treatment, these may not fully return to the levels seen before the interruption. Some people experience flu-like symptoms during an increase in viral load after taking a break from treatment. 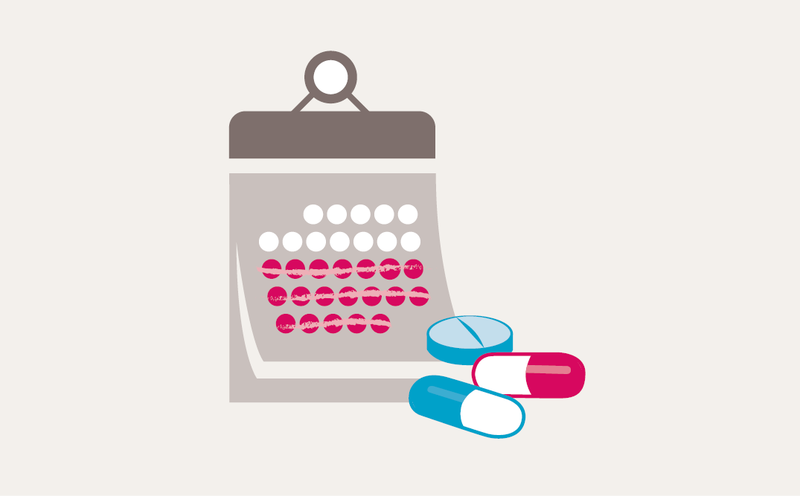 There is a risk of drug resistance developing, particularly if stopping treatment is not done carefully, working with a doctor. As viral load increases, the risk of passing HIV on also increases.